Renovated homes in Houston’s Third Ward around Elgin and Sampson streets are the results of Change Happens! community-based business. The renovated houses are near Change Happens! office building. Leslie Smith — 6-foot-3, bald, with a debonair look — may have GQ magazine appearance on the outside, but he certainly has a heart of gold on the inside. In fact, some say the Southern University College of Business graduate has that Midas touch. With an abundance of dignity. A minister without a traditional congregation, Smith buys and refurbishes dilapidated crack houses in Houston’s Third Ward and rents the refurbished homes at affordable rates. He has become a force for positive change in a depressed, 90 percent black area in dire need of transformation. He bought his first crack house in 1989, the year Smith founded and became CEO of a community-help organization that he named Change Happens! (with a swoosh for the exclamation point). By 2017, Smith had purchased a total of 10 crack houses. 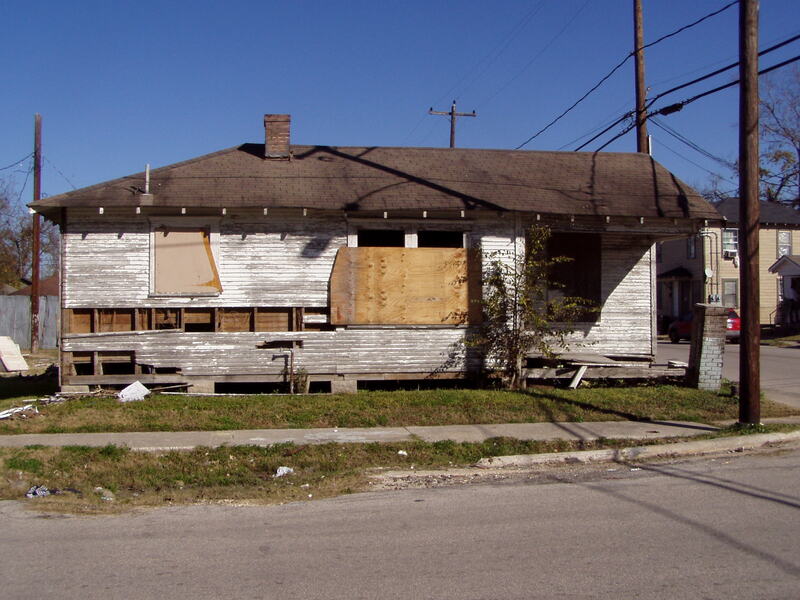 One of the dilapidated former crack houses to be renovated in Houston’s Third Ward by Change Happens! Combine that with the 18 other neglected housing structures he’s purchased, and Smith has renovated 28 homes in Houston. During the Fourth of July holiday weekend, while many of us stuffed ourselves at barbecues, Smith was canvassing New Orleans’ Seventh, Eighth and Ninth wards, areas devastated by Hurricane Katrina in 2005 and still in search of hope. Smith’s goal: to one day bring to the “Big Easy” his Houston model of transforming ramshackle structures into livable residences. As Smith says, “Time is money.” And access to capital and credit are necessary requirements to accomplish great deeds for the masses. Theodore Taylor, a 42-year-old tow truck driver, knows about that. He is a tenant in one of Smith’s reconstructed houses. Taylor pays $650 a month for a two-bedroom, single-family home with central heat and air conditioning. These houses, cream-colored with burgundy trim, are surrounded by black iron fences and a feeling of safety, unlike before. Taylor had many kind words for Smith. Smith is currently leading a 12-person contingent from Houston to Haiti for a two-week humanitarian mission. The group plans to deliver powdered milk, peanut butter, children’s backpacks and blankets to three orphanages. “I’ve been doing this for 13 years,” Smith said. He visits Haiti three or four times a year. Smith got an early start over most in the spirit of entrepreneurship and business acumen. How about at 9 years old? The lesson: the power of paid in full. No lingering debt. “Cash on the barrel head,” as the folk of wisdom used to say back in the day. Now, with specks of gray in his goatee and an affinity for suits from Dillard’s, the bespectacled Smith lives in a loft in downtown Houston, participates in long-distance bicycle charity events (try pedaling from Houston to New Orleans), vacations in Mexico and retreats to saunas at the area YMCA to de-stress from a wildly busy schedule. Smith uses the business principles that he learned from Southern and his own entrepreneurial instincts to make a difference. 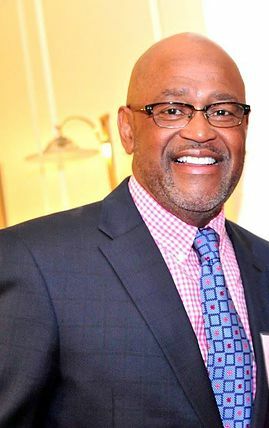 Donald R. Andrews, the 68-year-old dean of Southern’s College of Business, said we need more black folk like Smith who understand the tenets of small-business management. During Southern’s homecoming against Arkansas Pine-Bluff the weekend of Oct. 21, Smith was inducted into Beta Gamma Sigma, an international honor society serving business programs accredited by the Association to Advance Collegiate Schools of Business. Membership in BGS is the highest global recognition a business student can receive in a business program accredited by AACSB International. And Smith has experienced the delight of business growth. His office is in a three-story brick building that houses Smith’s Change Happens!, formerly known as Families Under Urban & Social Attack. It’s 2,700 square feet, $3 million built from the ground up. The doors opened in 2005, and it’s within walking distance of Smith’s redeveloped houses. The colors of the office building: cream base with burgundy trim, again. “That’s my branding colors,” Smith explained. The Change Happens! building is the epicenter for Smith’s 70 full-time employees and his 18 community-help programs, which include after-school facilities for adolescents, health care enrollment assistance, youth drug prevention, computer training centers, adult education projects, libraries and more. Smith has gotten federal contracts with the U.S. Department of Housing and Urban Development and the Centers for Disease Control. He’s also been aided by contributions from fundraising events, sponsors and affluent donors. When Smith first started buying rickety structures in “Crack House Alley” with a $25,000 bank loan, he had to run off the drug dealers with their pit bull guard dogs and clean up the stashes of dirty needles, drugs and other paraphernalia left behind. That process didn’t come about without confrontations with dealers and users. The criminals got the message. And so have others, in a more positive manner, as Smith has come a long way since 1989. A heart of gold in a time of need.